Beyond the Nile Tours would like to invite you to see all the wonders that Egypt has to offer. Let Beyond the Nile Tours be your host. Visit places like the Giza Pyramids, the Valley of the Kings. 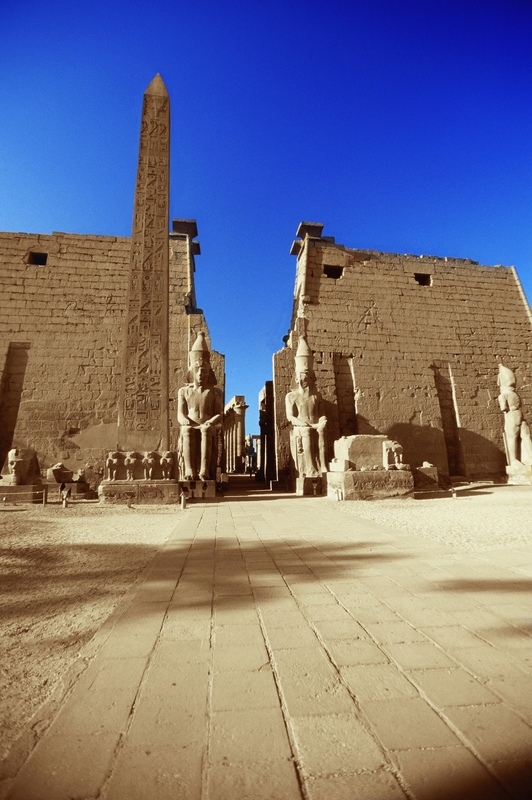 As well as the famous sites along the Nile, Karnak and Luxor Temples to name a few. We will take you to all points within Egypt and beyond in style and comfort. Flexible bookings are new, so if you like a tour program but not the dates. Email us and we will do our best to make it work for you! The temple complex's at Luxor and Karnak, build along the Nile were important stops for the traditional ceremonial routes the Ancients followed, there ease of access from the Nile would allow the Barges containing the Priests and Royalty to be brought up close to the entrance. Visit the World famous Sphinx Guardian of the Pyramids at Giza, The largest pyramid built by the Pharaoh Khufu in the 4th Dynasty (2560 B.C.E) followed by his son Pharaoh Khafre who's face is possibly that of the Sphinx,and the 3rd Pyramid was build by Pharaoh Menkaure is the smallest of the three. As the reign of the 18th Dynasty progressed the Pharaoh's began to expand outside the Valley of the Kings. 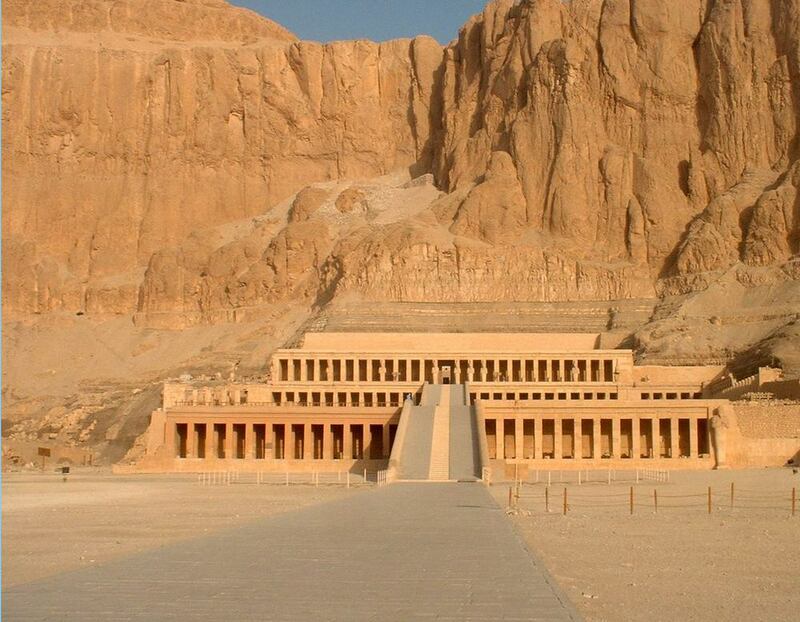 During her reign Hatshepsut the Queen who became Pharaoh Hatshepsut built an impressive temple cut into to side of the mountain which became a model for future Temple layouts. Our finest 5-star Cruises & Hotels will be to your satisfaction!, we work only with top ranked hotels in TripAdvisor & Holiday-check for you and your family & friends. From picturesque to boutiques luxurious, from iconic to new, we reserve you the right hotel. Every where in Egypt & Beyond. We offer superior services for your vacation needs. We plan the most unforgettable holidays ever. You can easily choose from our tours itineraries or simply, Design Your Own Tours Now. The best that Egypt has to offer is just a click away when you use our Website. We offer you the best prices and guarantee that you will make the most of your money when you book Tours with us. Whether you are traveling alone or in a group, we will offer you the best prices for flights to hotels, we make sure you get the best possible rates.